Everyone knows that Hollywood is Tinsel Town, known for glamorous premieres, movie stars, fancy cars, and all things film. And there are few better places than Southern California for riding (of course, there are few worse places than the LA freeways, but that's a blog for another day). But put movies and motorcycles together, and what do you have? The 2011 Los Angeles Motorcycle Film Festival. The festival will take place on Saturday, August 6, at 8pm, at the Cretins Clubhouse, on 1460 Naud Street in Los Angeles, just across the 110 from Dodgers Stadium. 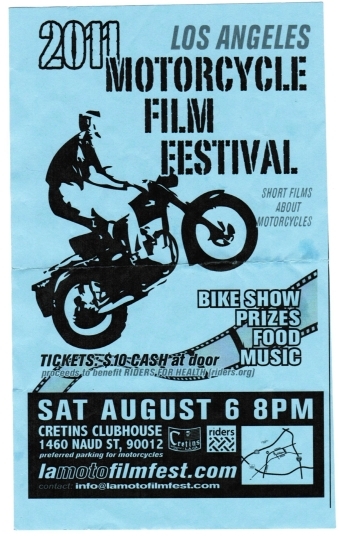 It will feature short films about motorcycles, as well as a bike show, food, music, cheap drinks, and prizes. The film lineup is yet to be announced, but we understand all the films will be between about 10 to 25 minutes, and all will be "from around the world about all aspects of owning, riding and living the two-wheel life." 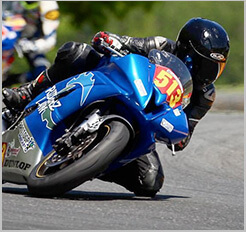 Most of the motorcycle lawyers here aren't big into the indy film scene, but this is one we sure won't pass up. Who doesn't love a good movie centered around cool bikes? Or even a bad one, for that matter. Come out and support this great concept. See you there! For more information, check out their website at lamotofilmfest.com, or email info@lamotofilmfest.com.